Yeah, and for footy you can vs other schools for the champion ship or whatever its called. And also a mode like the Hole, you can participate in it, and if you lose, you lose cash, and if you win you earn it. And also maybe a betting mode where 2 students fight each-other and you bet on it. *I said "mod" instead of "Mode"
There you go. Betting on the stupid midgets got lame after about the second time. Yeah i think that the betting system would be great! id love to see russel smash someones face in! I want to buy comics in comics shop! I'd like a return of the Elastic bands, but fewer and to unlock a different weapon "Rubber Band gun) - effectively an upgrade to the Slingshot. It could be set up so that you have to find, say, 30 within the grounds of the school itself. I'd like the ability to enter every single room in the school, as well as in other buildings on school grounds. Remove the "safety" of the main character's bedroom by having the prefects (More than 4, please...) enter the dorms and for other characters to be able to enter the main character's room outside of missions. The arrival of the Fire Brigade to false alarms (as well as real fires) would be pretty interesting. Have more classes and an "Assembly" - maybe even include a "Prom" event. I would like the ability to enter other peoples rooms, but Bully should also have a dialouge like "Heavy Rain"
Also, I like the "Assembly" bit, and the "Prom" but why on earth would you want more prefects? Simple - if you've flattened all 4 prefects and not been busted, then they shouldn't just stop coming. Unless an adult saw you doing whatever you did, the most you ever have after you is 4 people. It would be more epic for the protagonist to be able to annoy an entire crowd and have them after him. I think the Prefects ruin a lot of the fun, that's why I edited them out of the game on PC. I would also want different styles of moves, maybe even a custom move set, similar to Smackdown Vs Raw. 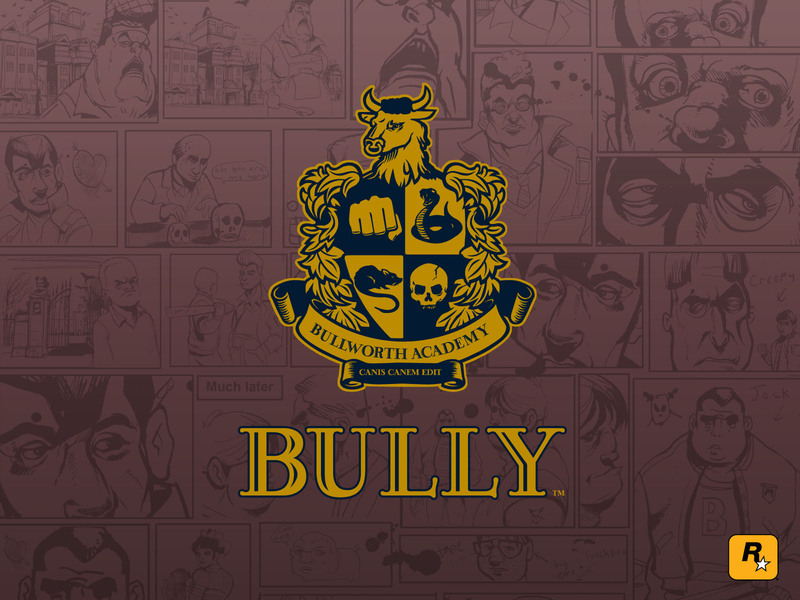 Also I would like a few DLCS for Bully 2, like extra weapons, moves and a few extra missions, and maybe a little story of each clique, for example.. Play as one of the Greasers, Nerds, Jocks, Preps etc in a mini story for a DLC. Oh yeah, and more tags for the cliques, and custom clothes creator. These are some great ideas, love the paintball gun, bb gun, water pistol, and the "Fight Club in the Hole." I think that the 2nd game should remain in Bullworth Town/Academy, otherwise you lose the dual meaning of the title. I always found the Greaser clique to be a strange throwback but I liked them nonetheless. The Jocks, Nerds, and Preps should return, naturally. A new cast of students should be used though, maybe with some mention or cameos of certain Bully 1 students. Maybe the kids of Bully 1 are now upper classmen. Gloria or Sheldon as head student, and perhaps cowardly little Pedro is a buff prefect. Any thoughts on a female lead? Good one. Maybe every assembly can get harder to distrupt, more prefects, more pranks required. Page created in 0.799 seconds with 24 queries.